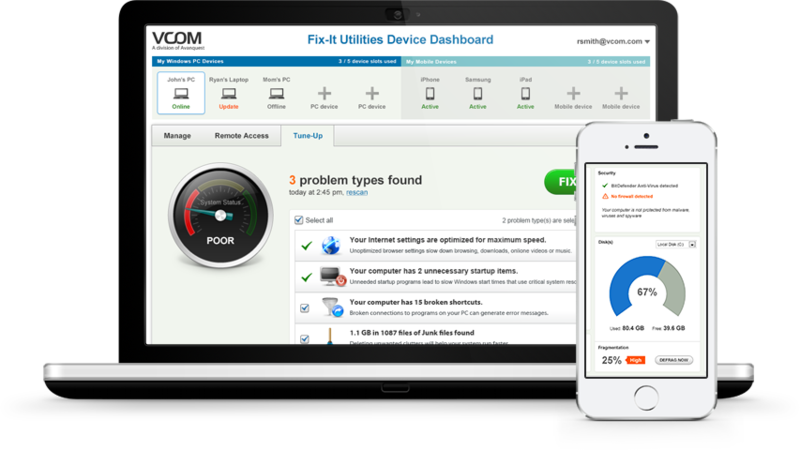 Manage and Protect PCs, Smartphones and Tablets with the help of Fix-It Utilities 15, by Vcom Software. 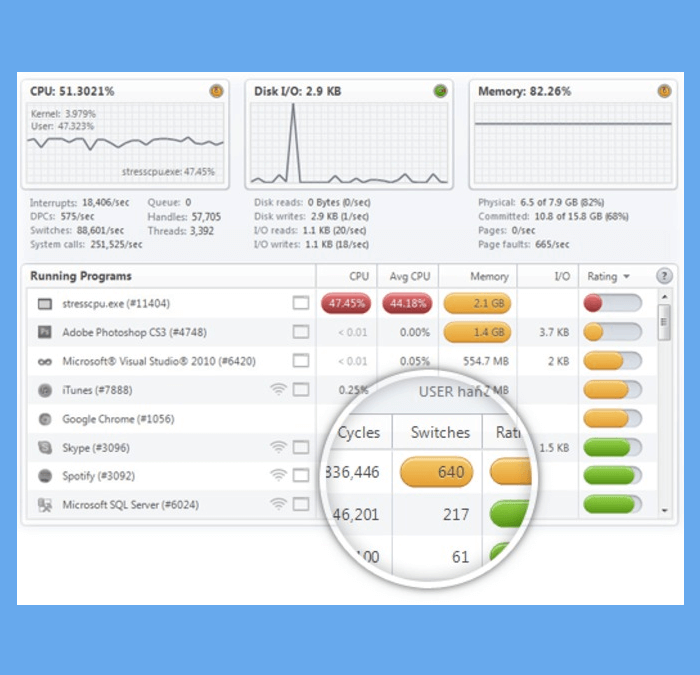 Fix-It Utilities 15 is a Cloud-Based Device Manager – Use the online dashboard to view all your devices from one place. Access any computer remotely, from anywhere, as if you were sitting right in front of it. PC Anti-Virus Protection- Stay safe from viruses, malware and spyware while protecting your personal privacy. Speed Up Your PCs from the Web – Scan and fix system errors, clean out system clutter and boost daily performance. Locate lost phones on a Google map from any browser. PCs are slow by design. Speed up your applications and documents with faster CPU execution, lower latency Disk data transmission and better memory reaction using artificial intelligence. Fast! technology is doing what you want by making sure all of the other processes in the system will not get in your way – focusing all of the system resources for you. Some history: when Microsoft designed the current windows architecture, about 25 years ago, they focused on process multi-tasking, less on user actions. When Steve Jobs created the iPhone – he disabled applications multi-tasking just to make sure the single application experience is great. Your PC’s resources are used by hundreds of processes and threads running inside your system — It’s called Context Switching. Central Processing Unit (CPU) is the electronic circuitry within a computer that carries out the instructions of a computer program by performing the basic arithmetic, logical, control and input/output (I/O) operations specified by the instructions. The computer industry has used the term “central processing unit” at least since the early 1960s. Traditionally, the term “CPU” refers to a processor, more specifically to its processing unit and control unit (CU), distinguishing these core elements of a computer from external components such as main memory and I/O circuitry. Compared to memory and the CPU, the Hard Drive is the SLOWEST component in your PC – it is a physically moving object, much of the delay is caused by seek time, the time it takes to correctly position the read/write heads above the disk platters. 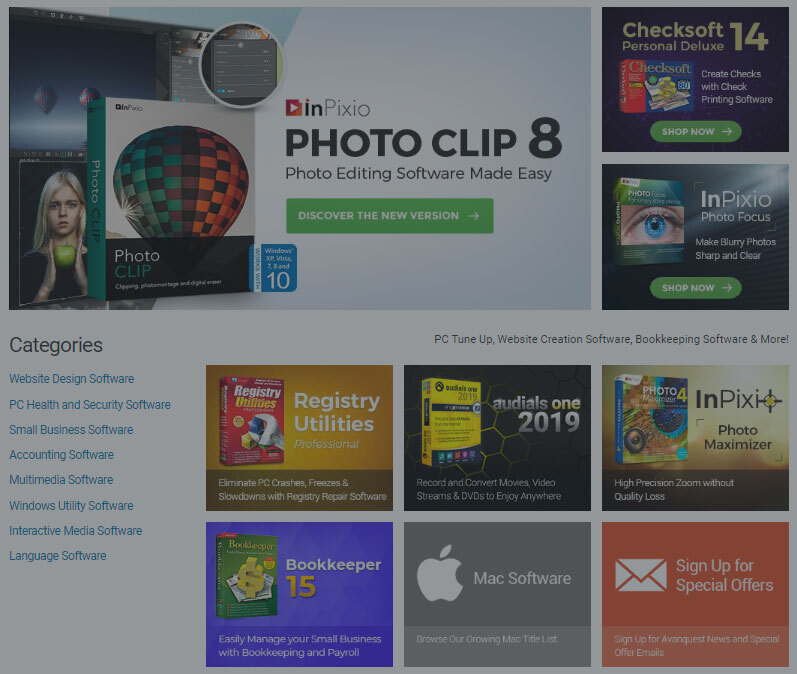 Try FAST software free and see the difference immediately.